Frisco, TX (December 3, 2015) – Encore Office, LLC has celebrated the grand opening of its latest development, the Tower at Frisco Square. 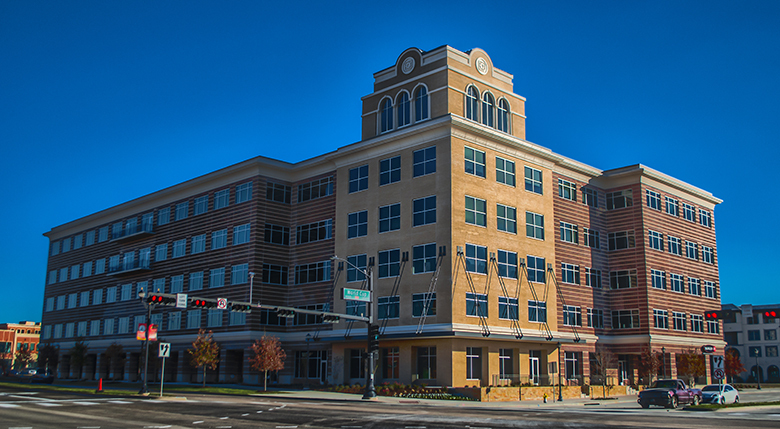 The building is a midrise, 165,821 rentable square foot office development and is located inside Frisco Square. The Tower at Frisco Square is an urban, mixed-use master-planned development anchored by Gearbox Software. Featured speakers at the opening included Mayor of Frisco, Maher Maso, Encore Enterprises President and CEO, Patrick Barber, and Founder and CEO of Gearbox Software, Randy Pitchford. “We wanted our workplace to be the same place that we eat and live and play and exist, and we’re getting that,” Pitchford commented. Watch our highlight reel of the event below.